Tuk tuks have been used as means for transportation in many countries, which then evolved to be used as a marketing vehicle/stand by many brands. 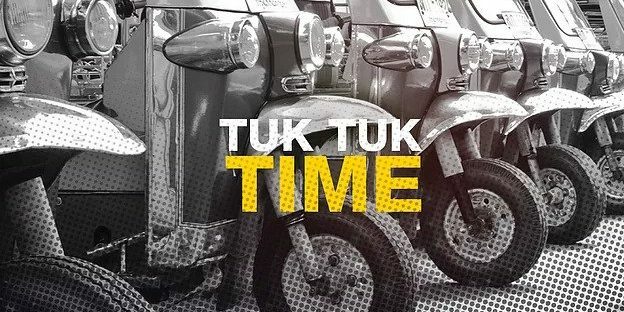 Tuk Tuks give an option of an inexpensive mechanised way to get your products and your brand to your target customers. Their cost of acquisition is relatively little and varies with a small range – depending on the specs of the tuk tuk of choice. Instead of taking the expensive option to erect billboards, your business can take creative approach to market its products and publicise the brand by masking tuk tuks with branded, well decorated canopies and wraps to easily get hold of the attention of your target demographic. Through innovative means we can maximize on the space to hoist your products by building well customised shelves that can be stretched to occupy space even outside of the tuk tuk. The sheer way this is done fits enough to attract customers for sampling. Our tuk tuk grants your business the special marketing strategy of mobile marketing. This coupled with their small sizes makes them very efficient for marketing in the congested parts of the cities, where there happens to be lots of customers too. Tuk tuks can be easily customised externally; be it by paintings or use of wrappers and canopies in a process that would cost you less that actually preparing a generic space in a souk or common market. The fancy add-ons would give your business a special, exotic and different look from the rest in an aim to appeal emotively to the customers. Traders and companies could exploit our new tuk tuks in order to enhance a conventional promotional plan or to just stand out at a popular event or convention. That would mean making more sales and maybe even building a loyal customer base. Contact u​s now to share with you our tailor-made ideas for your business.